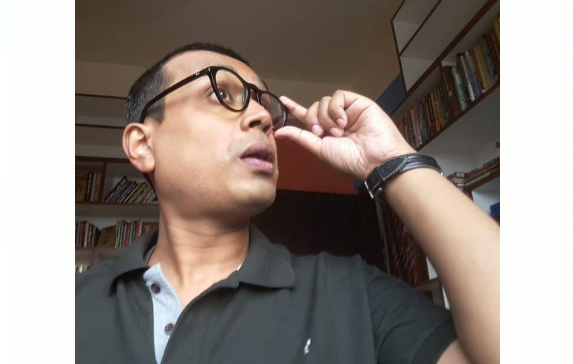 Promising Assamese story writer and police official Partha Bijay Dutta passed away on Thursday morning in a private hospital in Guwahati leaving his friends, followers and well-wishers in shock. The young story teller was suffering from cancer and was being treated at the city’s Nemcare Hospital. He leaves behind his writer wife Swati Kiran and parents besides a host of well wishers and relatives. 38-year-old Dutta hailed from upper Assam’s Jorhat. He was posted as assistant superintendent of police (ASP) at Titabor in Jorhat district. He has authored a number of stories. Some of his books are Khandahar (2015), Cheri Phoolor Botor Aru Eta Sadhu (2016) and Duroir Ghonta Dhwani (2019). Partha also penned some insightful poems and essays. The news of his untimely death was met with shock and grief in the state. Condolence messages poured in from all quarters on Facebook when the news of his passing away spread.